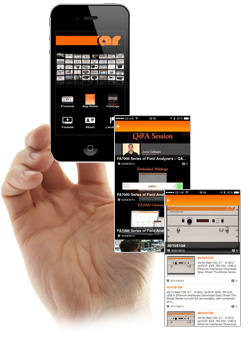 We have just completed an AR mobile app that is available as a free download from Apple iTunes and Google Play. This application is a quick and easy tool to access various content for AR‘s products. FREE Software Automates Radiated Susceptibility, conducted immunity and emissions testing. 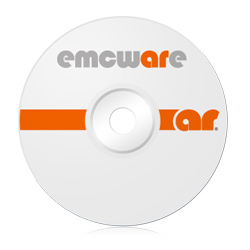 Request your emcware software and make testing quicker, easier, and more accurate! Please note the link to download your free software directs you to our US site. If you would like to know more about the latest version, please click here for more information. AR Benelux was recently presented with a unique and interesting challenge. One of their customers wanted the ability to test the RF current breakdown of the components they used (capacitors, PIN-switches, RF connectors etc.) 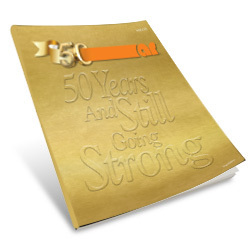 at levels of >50A rms. The reason for this was many of these components were poorly or simply not rated with respect to the maximum RF current they can handle. 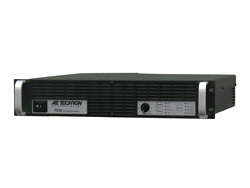 The new AE Techron amplifier model 7224 is a high-precision industrial amplifier with a bandwidth of DC – 300kHz. 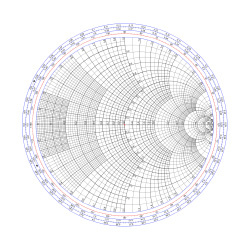 With High Power and a Fast Slew Rate it is ideally suited for Research, Industrial, Automotive and Military/Aerospace EMC applications such as CS2009, DO-160 and Mil Std 461. 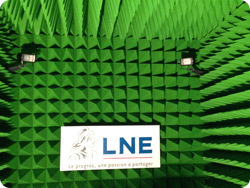 AR France has recently completed the successful installation of a new compact EMC Chamber at LNE (French national laboratory) in Trappes, Paris. 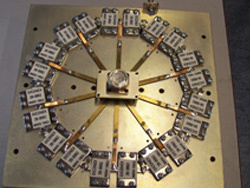 Working with our partner ETS-Lindgren, a custom compact chamber was designed to enable the customer to perform complaint radiated immunity testing between 80MHz - 6GHz. What made this chamber unique, apart from the colour of absorber which was requested by the customer, is its size. Working with the restrictions posed by the host building, the chamber external dimensions measure 7.5m x 3.7m x 3.7m.